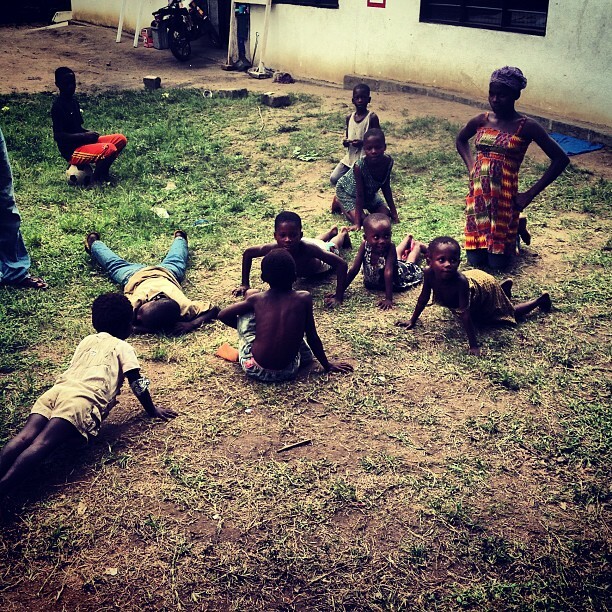 Juan, a volunteer with us does exercise with the Gboloo children…. 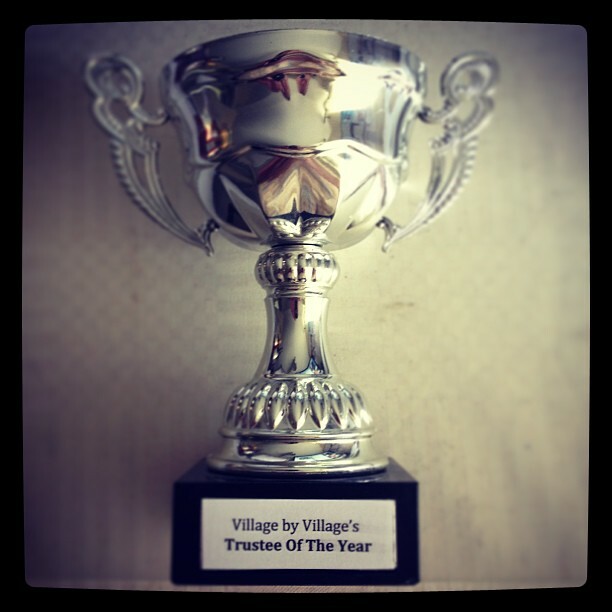 This weekend will see the completion of the 1st stage of our Trustee of the Year (TOTY) competition . The video interviews!!!!!!!!! 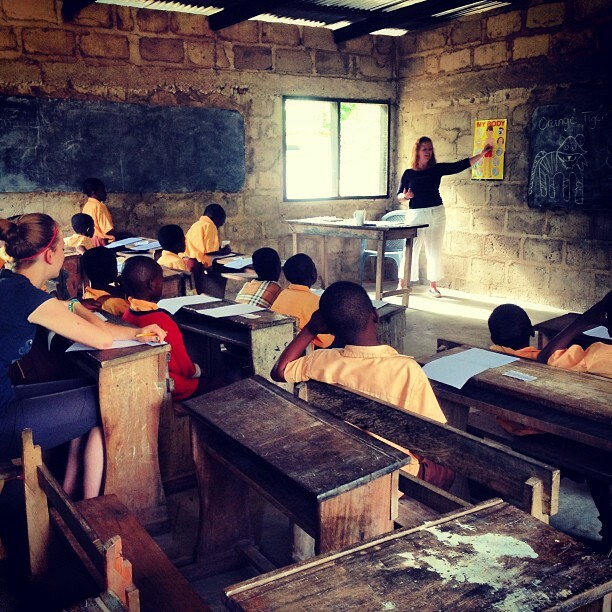 Jo and Laura, two of our volunteers teaching children in the Kindergarten at the school here in Gboloo Kofi, Ghana. 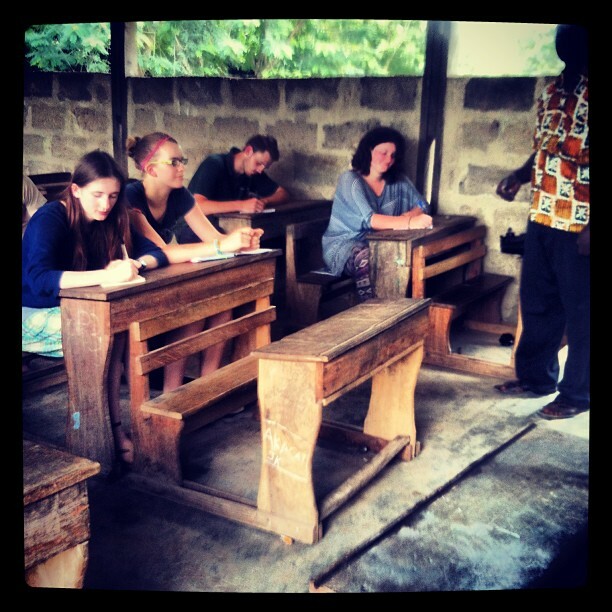 Master Gyampoh teaching our volunteers local culture, customs and language in the school at Gboloo Kofi, Ghana.